These are the web pages of the SNDUST project, an EU-funded endeavour to understand the origins of the dust that pervades the universe. The overall goals of the project are summarised here. 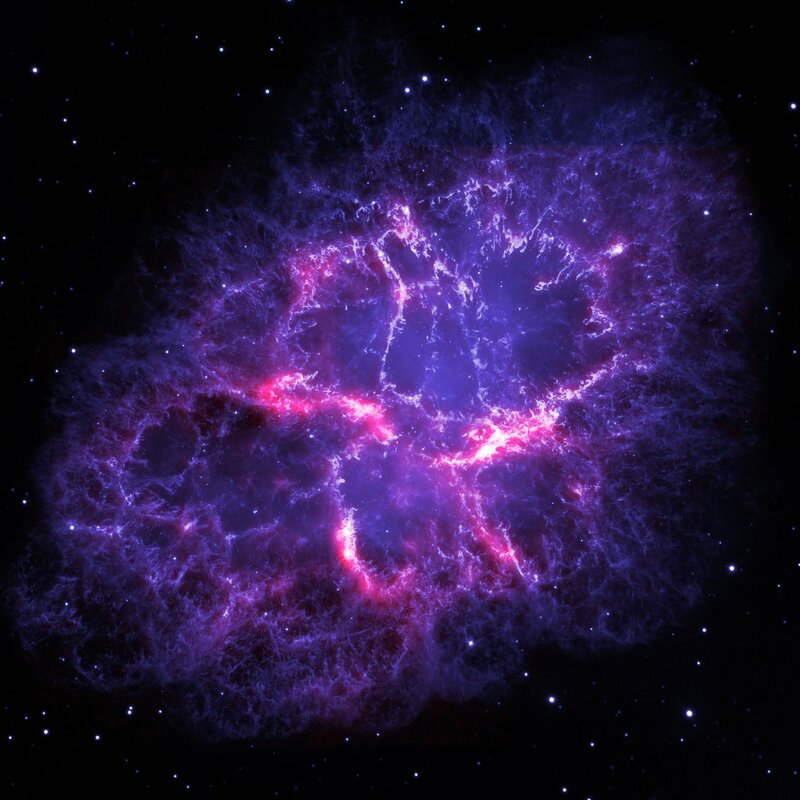 Composite image of the Crab Nebula, obtained by combining a Hubble Space Telescope optical emission line image (blue-white) with a Herschel Space Observatory 70 μm dust emission image (red), showing the emitting dust to be closely aligned with the optical knots and filaments. The image is 5.65 arcmin on a side; north is up and east is to the left. Credits: Oli Usher (UCL); Herschel Space Observatory, Hubble Space Telescope: ESA, NASA.